A great smile begins with an initial consultation. During your complimentary first visit, our focus will be on getting to know you as a person, not just a patient. Our goal isn’t just to improve the look and the function of your teeth, but also to make your entire experience enjoyable, throughout your treatment. 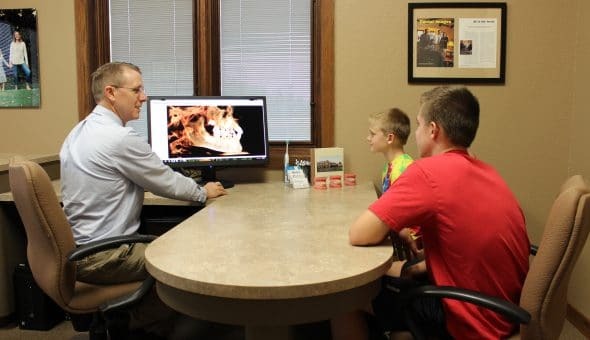 During your initial consultation, Dr. Davies and staff will perform a comprehensive diagnostic examination, complete with digital photographs, a CBCT Scan, to determine if orthodontic treatment is necessary. If you do require treatment, we will discuss Dr. Davies’ recommendations, as well as your insurance and financial options. If you want a straighter smile, then rely on orthodontic treatment that’s designed specifically for you! To schedule an initial consultation with Dr. Davies, call Davies Orthodontics today at (262) 542-9151. With offices conveniently located in Waukesha and Oconomowoc, WI, we proudly serve families throughout all of our surrounding communities.